Bevel gears are very common gear configurations because of their effectiveness and reliability. They are used in rail transport applications, in marine applications, as automotive components, in control systems for pumps and liquid storage systems, in power plants, in printing presses and in a wide variety of other equipment and machinery that require the transfer of torque. Bevel gears range in terms of their possible tooth shape, pitch surface, pitch angle and other properties. This quality of customizability makes bevel gears attractive to professionals in all kinds of industries. While bevel gears are most often configured in a 90° angle, they can be designed to work at other angles as well. Four bevel gears in a square make a differential gear, which can transmit power to two axles spinning at different speeds, such as in an automobile. Understanding a bevel gear’s operation is easiest when visualizing the face of a three dimensional disk. Around the perimeter of the disk’s face are the teeth – elevated segments of equal length that protrude in the Z axis and are shaped like straight lines or waves. Depending on the gear’s configuration, the teeth may be higher toward the middle and lower toward the gear’s perimeter; if viewed from the side, the gear would look like a ridged, truncated cone. A bevel gear’s axis extends from its middle in the Z axis. That axis intersects with the axis of at least one other bevel gear, and it is this axial intersection that distinguishes bevel gears from other gear varieties. Bevel gears are typically constructed from metal or plastic. Bevel gears can be made of various types of materials with differing properties, such as aluminum, bronze, cast iron, brass, steel, hardened steel, and stainless steel. Plastic materials used to make bevel gears include Delrin, nylon and polycarbonate. 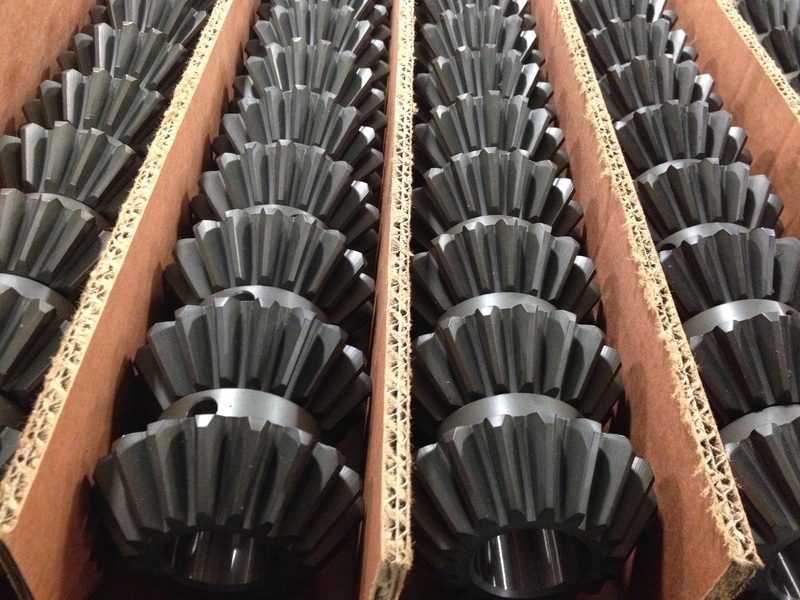 Important considerations in selecting a bevel gear are power transmission requirements, design life, the possibility of exposure to corrosive elements, and noise and heat generation. All of these factors determine the success of the gear in a particular application. Bevel Gears Bevel gears are industrial gears that are characterized by gear axis intersection. 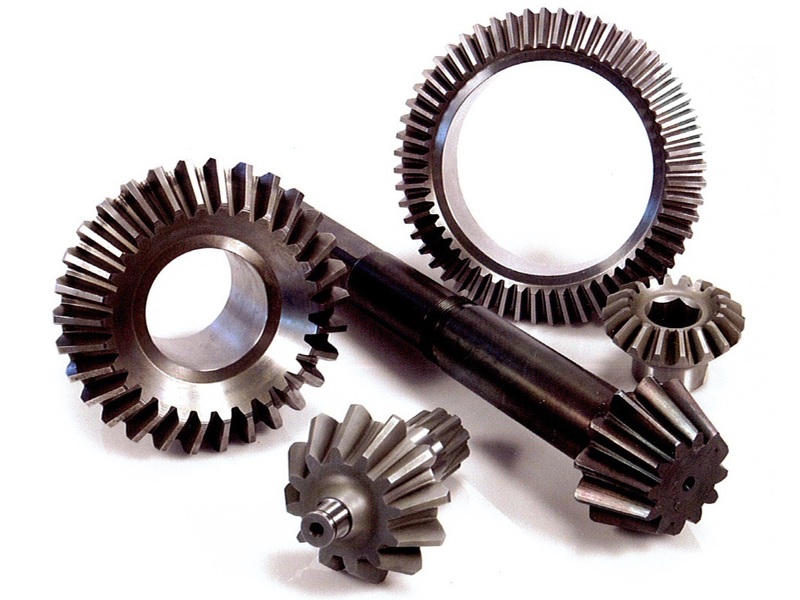 A gear is a machined wheel, the circumference or face of which features specially shaped teeth. When those teeth interact with similarly shaped teeth on other gears, torque can be transferred between the two gears as they turn.